Small-scale poultry farming and wild birds are being unfairly blamed for the bird flu crisis now affecting large parts of the world. A new report from GRAIN shows how the transnational poultry industry is the root of the problem and must be the focus of efforts to control the virus. The spread of industrial poultry production and trade networks has created ideal conditions for the emergence and transmission of lethal viruses like the H5N1 strain of bird flu. Once inside densely populated factory farms, viruses can rapidly become lethal and amplify. Air thick with viral load from infected farms is carried for kilometres, while integrated trade networks spread the disease through many carriers: live birds, day-old-chicks, meat, feathers, hatching eggs, eggs, chicken manure and animal feed. For example, in Malaysia, the mortality rate from H5N1 among village chicken is only 5%, indicating that the virus has a hard time spreading among small scale chicken flocks. H5N1 outbreaks in Laos, which is surrounded by infected countries, have only occurred in the nation’s few factory farms, which are supplied by Thai hatcheries. The only cases of bird flu in backyard poultry, which account for over 90% of Laos’ production, occurred next to the factory farms. “The evidence we see over and over again, from the Netherlands in 2003 to Japan in 2004 to Egypt in 2006, is that lethal bird flu breaks out in large scale industrial chicken farms and then spreads,” Kuyek explains. The Nigerian outbreak earlier this year began at a single factory farm, owned by a Cabinet minister, distant from hotspots for migratory birds but known for importing unregulated hatchable eggs. In India, local authorities say that H5N1 emerged and spread from a factory farm owned by the country’s largest poultry company, Venkateshwara Hatcheries. A burning question is why governments and international agencies, like the UN Food and Agriculture Organisation, are doing nothing to investigate how the factory farms and their byproducts, such as animal feed and manure, spread the virus. Instead, they are using the crisis as an opportunity to further industrialise the poultry sector. Initiatives are multiplying to ban outdoor poultry, squeeze out small producers and restock farms with genetically-modified chickens. The web of complicity with an industry engaged in a string of denials and cover-ups seems complete. Us recomano vivament que feu una ullada a un informe que han fet públic des d’aquesta organització, molt complert (19 pàgs.) amb àmplies referències a Àsia. El paper reforça el que ja exposen en aquesta nota de prensa. Si us interessa el tema, és una bona font d’informació qualificada. M’acabo de llegir aquest llibre, editat per Paidós (2006) i aquí us passo una mini-review. És un repàs general més o menys ben fet, amb grans perles molt ben pensades fruit del temps que fa a que es dedica això, però que es queda una mica caducat (2002 edició en francès, 2006 a Spain) i hi ha temes que es toquen molt poc: energia, Asia Central,..
Però té un apartat genial cap al final quan parla de l’estructura estatal de l’estat a la Xina i com ha evolucionat. Apareix un concepte fantàstic que és el de “geopolítica de les províncies” per a fer referència a les competències internes entre elles… (vaja, tot una mica Thurow aquí també) i que m’ha apassionat. Es nota que Domenach ve de Science Po. També és interessant l’apartat sobre el nou control social de les èlits, com s’exerceix, etc… però potser més fluix el tema de relacions internacionals i com per exemple té molt clar que el Xinjiang és un problema molt més important que el folklòric Tibet. Fa un bon analisis i amb un punt de vista nou (per a mi) sobre el policy-making i la seva evolució, però l’apartat sobre la corrupció i el nacionalisme els he trobat força fluixos. Finalment diré que m’ha recordat l’estil de Lucien Bianco? És que hi ha una aproximació francesa pròpia a Xina? Jo diria que sí… i quina és la catalana? Així doncs, us recomano la seva lectura però per sobre, anant a buscar els bons apartats. India ha de copiar a Xina? The India media blitz was a huge success. In Davos, speaker after speaker touted the idea that even if China is ahead now, over the longer run, the race between Asia’s two giants is a toss-up. On the surface, China has opened up quite a lead on India. Twenty-five years ago, at the start of the contemporary wave of globalization, national output in India and China was about the same. Now, by any measure, China is more than twice as rich. But the real difference is not so much that successful Chinese are doing better than successful Indians. After all, the Indian elite are world-beaters, as Lakshmi Mittal’s bold $22 billion bid for French steelmaker Arcelor shows. No, the real difference – whether we like to admit it or not – is that China’s communist government has succeeded in globalizing a much larger share of its population than India’s democratic government has managed to do. The real problem is that China’s authoritarian system faces little opposition when it decides to bulldoze a shantytown that stands in the way of a new airport. India’s government, by contrast, has neither the power nor the inclination to trample over poor people to make rich people richer. Unfortunately, without infrastructure, the 800 million-plus Indians who have not yet “made it” don’t have a chance. India will never be able to create enough jobs in services alone; it must be able to compete in low-end manufacturing areas as well. Without better infrastructure, the majority of India’s citizens will remain frozen out of globalization. Això no us sona a Deng Xiaoping? Doncs Rogoff treballa pel FMI. Xina és el camí a seguir no només per a la India sinó per a tots els mercats emergents. És una altra mostra de que estem passant del Washington concensus als Beijing concensus? 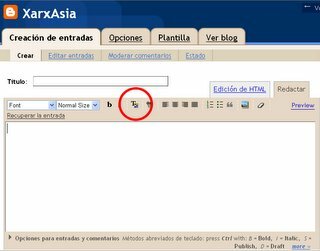 Com que alguns encara no dominem el xinès, japonès o coreà pot ser molt útil aquesta opció del Google que traduïx texts o webs senceres, ara també amb aquests tres idiomes en fase de proves. Per veure si eren gaire bons he fet una prova. He entrat a China.com que té una versió en anglès (així la podia comparar) amb la traducció que n’ha fet Google de la primera i que podeu consultar aquí. El primer que sobte és que el contingut de la web en anglès és diferent que l’original el xinès, això ja passa a moltes webs oficials. Com podeu veure, la traducció no és perfecte, però s’enten prou, em sembla que ha arribat l’hora de que s’acabin les excuses idiomàtiques per a fer recerca… continuaré investigant… algú vol fer noves proves? La idea i proposta de fons però és una altra… si fem el blog en castellà podem traduir-lo automàticament a l’anglès,… què fem? Podeu veure una mostra de com quedaria en anglès a aquí. ANY DISCUSS ION OF U.S. AND Chinese strategic nuclear arms was absent from the meetings in Beijing between President George W. Bush and President Hu Jintao this past November, where economic and regional concerns predominated. With the Cold War a fading memory, the public’s attention to the role that nuclear weapons play in U.S. security has practically evaporated compared to the national debates and grass-roots anti-nuclear movements that characterized the 1970s and 1980s. The U.S. government states that its purpose in possessing nuclear weapons is, among other things, to deter nuclear use by any potential adversary, mainly Russia and China. In the late 1990s the United States decided to increase the number of Chinese facilities to be held at risk with U.S. nuclear weapons. This targeting of Chinese facilities is due to concern over the long-term modernization of their nuclear forces. The U.S. Navy has since increased the number of ballistic missile submarines in the Pacifi c, probably to implement that decision. As a result, the deterrent relationship between the United States and China appears to be undergoing some revision which, combined with Chinese concerns over the impact of U.S. ballistic missile defense systems, in turn may cause China to consider new options to modernize its nuclear forces and doctrine. Non-governmental organizations (NGOs) have played an important educational role by publishing open and accurate information about global nuclear arsenals, materials and technical capabilities. One tool in this effort has been the use of the U.S. Freedom of Information Act (FOIA), which provides access to once classifi ed U.S. government documents, some of which have been about China. Increasing knowledge about China has also come from the Chinese themselves. Beginning in the mid-1980s, conferences and workshops co-sponsored by American and European NGOs and the Chinese Academy of Engineering Physics (CAEP-the site of China’s nuclear weapons research, engineering and development program) have created an international community of researchers who study and write about nuclear deterrence, arms control and international security issues. (See Figure 1 for IKONOS image of CAEP facilities.) In recent years, a new tool has become available in commercial high-resolution satellite imagery, which since 1999 has greatly enhanced the abilities of NGOs to conduct research on the often secretive subject of nuclear weapons and their role in national defense policy. The Natural Resources Defense Council (NRDC), an NGO based in Washington, D.C., is conducting a study in collaboration with the Federation of American Scientists to examine and describe the status of Chinese nuclear forces, assess what is known about future modernization plans and better understand the deterrent relationship with the U.S. This article is a preview of the forthcoming report and provides examples of IKONOS and QuickBird imagery of Chinese nuclear forces. China became a nuclear power in October 1964 after conducting its first test with initial assistance from the Soviet Union. After cooperation between the two countries ended in 1960, China continued development very much on its own. Over the past 40 years, China’s nuclear forces have remained at relatively modest levels while technological improvements have gradually evolved. The strategic competition between the United States and the Soviet Union that resulted in enormous arsenals had no parallel in the United States-China relationship. Today, China possesses approximately 85 nuclear-capable land-based ballistic missiles; no more than twenty have sufficient range to target the continental United States. During the Cold War, a “triad” of weapons including land-based intercontinental ballistic missiles (ICBMs), submarine-launched ballistic missiles (SLBMs) and bomber-delivered weapons became the standard confi guration for the nuclear arsenals of the United States and the Soviet Union and, to a lesser extent, for those of France and Britain. China also attempted to develop a triad but failed to achieve an operational sea-based leg. Today China has approximately 85 ballistic missiles deployed in fi xed silos, hidden in caves, or loaded on mobile platforms. A single Chinese submarine is capable of delivering nuclear missiles, although it is not fully operational, and a modest number of aircraft can possibly deliver nuclear bombs. To replace its aging ballistic missile force, China is currently developing three new versions of the DF-31, two on land for mobile launchers and one on a new class of submarine. Deployment is expected to begin over the next five years. China’s aged strategic bomber force consists of between 100 and 120 Hong-6 medium- range bombers based on the 1950s-era design of the Soviet Tu-16 Badger bomber. Production of the Hong-6 began in 1964, and from 1980 to 1990, China built five or six Hong-6s per year.2 The antiquated aircraft probably would have diffi culties penetrating modern air defense systems. 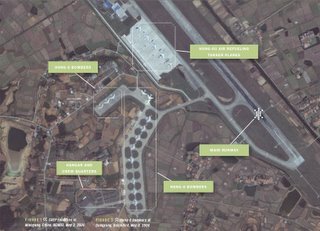 Figure 2 shows a QuickBird photo of 13 Hong-6 nuclear-capable bombers found at Dangyang Airfi eld in Hubei Province, well within range of Japan, South Korea and Taiwan. Also visible in this satellite image are five aerial refueling tanker planes: the Hong-6U and Ilyushin-78. Another type of nuclear-capable Chinese aircraft is the Qian-5, a supersonic attack aircraft designed in the late 1950s and 1960s. In January 1972, the Qian-5 was used for the fi rst time to conduct a full-scale nuclear weapons test and reportedly has an internal bomb bay allowing for one weapon. Figure 3 shows part of a group of 70 Qian-5 aircraft visible in a QuickBird image of Jianqiao Air- fi eld in Zhejiang Province on the coast of the East China Sea. Their age and limited range (400 km) make the continued nuclear role of these aircraft questionable. China’s ballistic-missile submarine program has had a troubled history, with serious technical problems stretching back twenty years or more. Its “fleet” consists of a single SSBN (nuclear ballistic-missile-carrying submarine), the Xia. Based with China’s North Sea Fleet at Qingdao, the Xia was built at Huludao Naval Base and Shipyard and launched in April 1981. The Xia is not fully operational, even after a recent four-year overhaul, and it has never sailed beyond China’s regional waters.3 According to U.S. Naval Intelligence, the Xia has never conducted a deterrent patrol. Since 1989, the Xia had reportedly been moved to the Jianggezhuang Submarine Base on the Yellow Sea in Shandong Province, where nuclear warheads for its Julang-I missiles are believed to be stored. 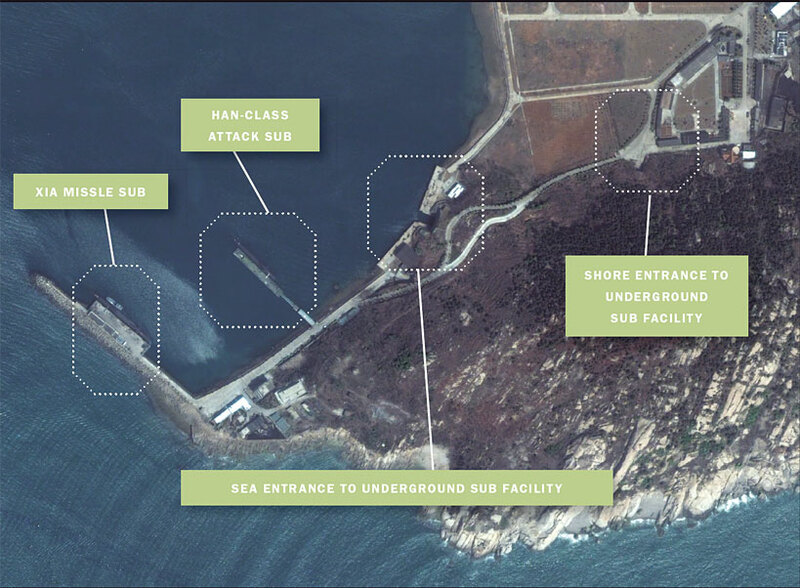 Figure 4 confirms the presence of the submarine at this facility, showing the Xia (identified by its 12 missile hatches behind the sail) moored along a pier near an entrance to an underground facility 450 meters northeast of the submarine. The underground facility, shown here for the fi rst time, likely plays a role in the storage and maintenance of the Xia’s Julang I missiles and their nuclear warheads. Several satellite images that NRDC obtained for this study are notable because they show the presence of underground facilities. The characterizing and cataloging of such features using high-resolution satellite imagery is important in current debates about U.S. nuclear policy because the Pentagon argues that it needs to be able to target underground facilities and that their numbers are increasing. Figure 5 illustrates an underground Chinese facility associated with the Feidong Air Base in Anhui Province, including a runway emerging from the adjacent hill. Many such underground facilities were discovered at North Korean air bases in a prior NRDC study (Imaging Notes, Summer 2005). American and Chinese nuclear capabilities are highly asymmetric. Beginning in 2002, an important—but largely unnoticed— change in U.S. nuclear forces has been the enhancement of accurate nuclear strike capabilities against targets in the Asia- Pacific region. By shifting the homeport of fi ve ballistic-missile-carrying submarines (SSBNs, colloquially known as “Boomers”) from the Naval Submarine Base Kings Bay in Georgia, to the Naval Submarine Base Bangor, just west of Seattle, Washington, more than two-thirds of the U.S. SSBN force will be based in the Pacific. This is a dramatic change compared with the Cold War when most U.S. SSBNs were based in the Atlantic to target the Soviet Union. Moreover, the Trident I C4 sea-launched ballistic missile that previously armed SSBNs in the Pacifi c has been retired and replaced with the longer-range and more accurate Trident II D5. Unlike its predecessor, the D5 can carry the W88, the most powerful ballistic missile warhead in the U.S. arsenal. The other warhead carried on the SSBNs, the W76, is being equipped with a new fuze with ground-burst capability that will signi- fi cantly enhance the lethality of the weapon. While President George W. Bush and President Hu Jintao spent their time in November discussing economic and regional issues, both of their military establishments were busy modernizing the nuclear forces. China is nowhere near nuclear parity with the United States, but both countries seem poised to modernize their nuclear forces with an eye to the other’s intentions and capabilities. That race, although less about numbers than capability, must be watched carefully, and remote sensing data is an invaluable tool to better understand Chinese nuclear forces and U.S. claims about their capabilities. In a forthcoming study, NRDC will assess the future direction of Chinese and U.S. nuclear forces in the Pacifi c to improve understanding of the future deterrent relationship between these two countries. Norris, Robert S. and Hans M. Kristensen, The Bulletin of the Atomic Scientists: “U.S. Nuclear Forces, 2006,” January/February 2006 pp. 68-71, “Russian Nuclear Forces, 2006,” March/April 2006, forthcoming , and “Chinese Nuclear Forces, 2003,” November/December 2003 pp. 77-80 (vol. 59, no. 06). Pollack, Jonathan D., ed., In China’s Shadow (Santa Monica: Rand, 1998), p. 21. Defense Department, “Annual Report on the Military Power of the People’s Republic of China,” (2002), p. 22. He pensat que potser estaria bé obrir una entrada per a fer comentaris de cosetes que podem fer per fer el nostre blog més atractiu. Potser aquest calaixet, pot ser on hi deixem aquestes propostes, ‘truquillos’, consells…. 1. Per pintar text a color, és tant senzill com seleccionar -quan es trobem a la finestra d’edició del comentari- el text que es vol colorejar, i buscar el color desitjat clicant el botó ‘T’ amb els colorins, just al costat de les negretes i les cursives, i a l’esquerra del botó ‘hipervincle’, de la bola del món i l’anella, que serveix per insertar l’enllaç.